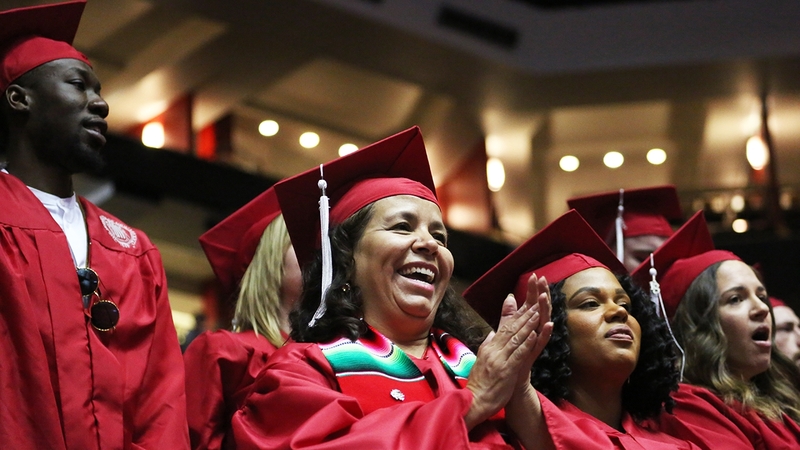 A crowd of more than 11,000, including graduates, families, and guests, gathered at Dreamstyle Arena Saturday as The University of New Mexico celebrated the Class of 2018 and the installation of its 23rd and first-ever female president, Garnett S. Stokes. The morning was steeped in tradition beginning from the grand entrance of UNM’s Golden Graduates, the Class of 1968, who began the procession, to a colorfully dressed group of senior administrators, deans and marshals in academic regalia who helped usher in more than 3,800 students receiving degrees and certificates. 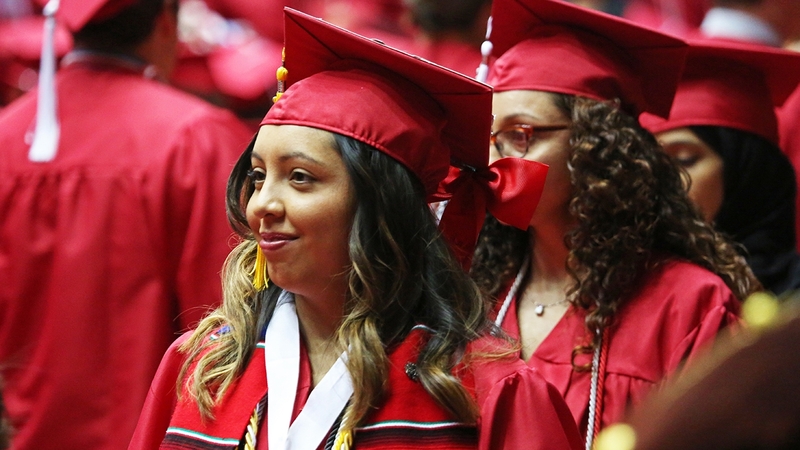 Official numbers are pending a final degree count, but UNM’s main campus was expected to confer approximately 2,440 bachelor’s degrees, 521 master’s degrees, 81 pharmacy doctorates, 105 doctorates, 85 juris doctorates, 81 medical doctorates and 58 graduate certificates. At the branches, the following degrees were expected to be awarded: UNM-Gallup, 105 associate degrees and 50 certificates; at Los Alamos, 55 associate degrees and 51 certificates; at Taos, 41 associate degrees and 12 certificates; and at Valencia, 105 associate degrees and 66 certificates. 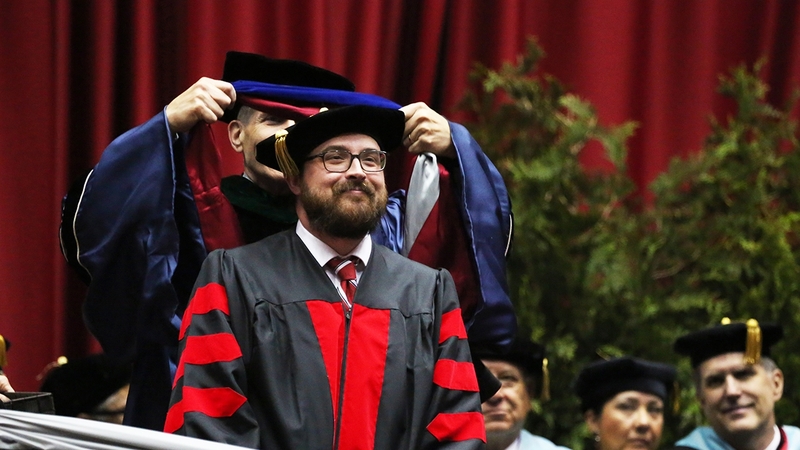 UNM’s 2018 Commencement & Installation of President Stokes is available on UNM’s Facebook page for those unable to attend who wish to watch the ceremony. That set the stage for the entrance of Stokes, who was escorted by husband, Dr. Jeff Youngrenn, a forensic psychologist and retired Colonel in the U.S. Army. A UNM ROTC Joint Color Guard, including members of the U.S. Air Force, U.S. Army and U,S. Marines, led to a stirring performance of the National Anthem sung by soprano Connor Murphy-White, who received a Master’s of Music. 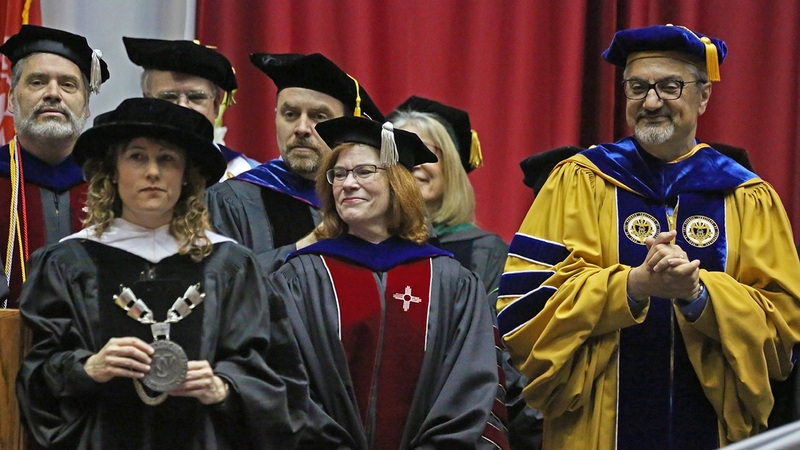 After a brief welcome from Vice Provost for Enrollment and Analytics Terry Babbitt, Regents’ President Robert Doughty began a short installation of Stokes where she was presented the presidential medallion symbolizing the authority of the president as the chief executive of the University. Stokes, who was selected on Nov. 1, 2017 as the first female president in UNM’s 129-year history, was then presented with the Presidential Medallion officially signifying the beginning of her tenure as UNM president. Stokes, who took office on March 1, delivered her installation address congratulating and thanking graduates. 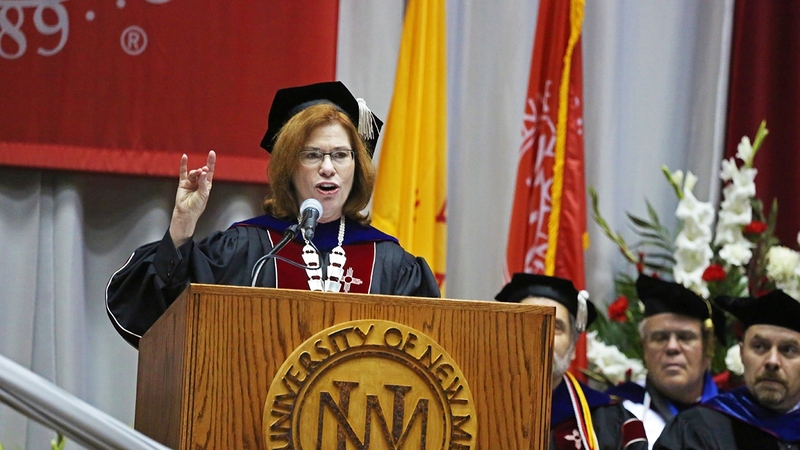 Stokes used her platform to set a tone for UNM’s new direction choosing the words ‘Intention & Impact’ as the guiding principles of her presidency. 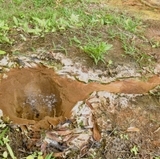 Stokes mentioned two stories – a recommendation by a psychology professor to attend graduate school, and years later, a senior professor in the department of psychology at the University of Georgia, who told her out of the blue she’d become the head of the department – that helped shape the future of her academic studies and her career as an administrator in higher education. Albuquerque-native Ian McKinnon delivered the keynote speech. He and his wife Sonnet, a UNM alumna, have donated more than $7 million to various projects at UNM including the new McKinnon Center for Management. 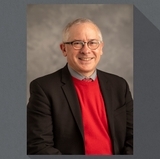 He gave graduates two pieces of advice – keep a gratitude journal and reclaim your eyes from your smartphone, the latter creating a bit of a clamor among the crowd. Stokes followed McKinnon recognizing honors graduates, graduate service members and ROTC commissioners. 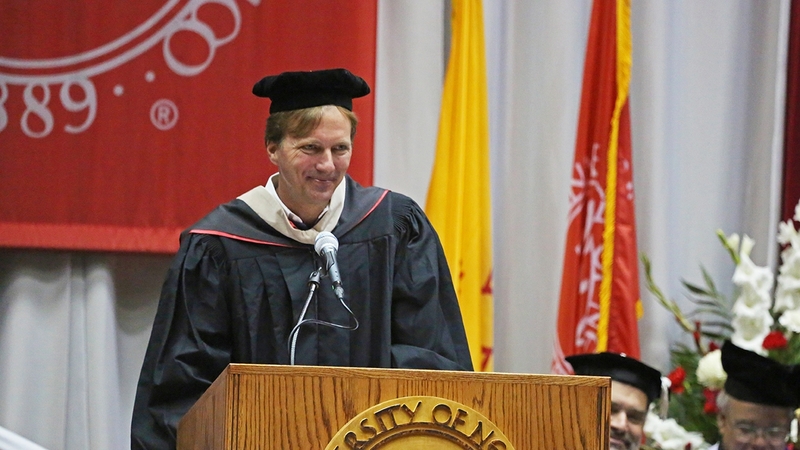 Lastly, UNM Alumni Association President Harold Lavender welcomed all graduates to the ranks of UNM Alumni. Finally, the time all graduates had long-awaited came as Stokes conferred degrees of course with various degree presenters recognizing doctoral, master’s and bachelor’s graduates. 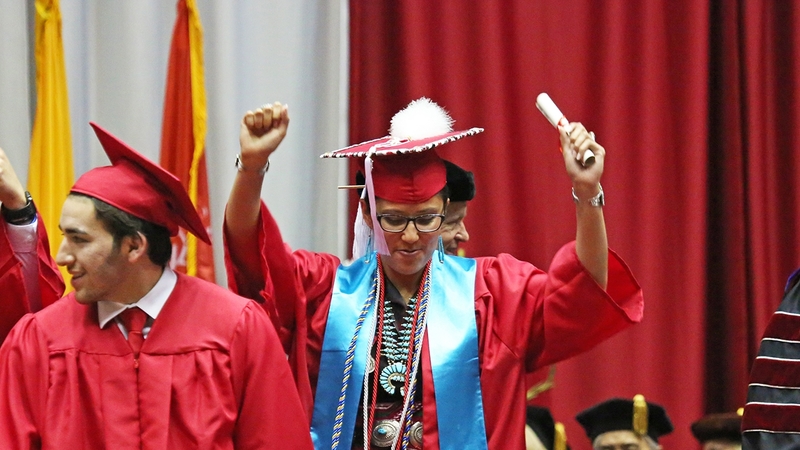 Stokes concluded with the tassel ceremony, while Murphy-White led graduates singing the alma mater, The New Mexico Hymn. 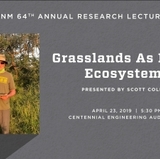 Chung’s work investigated how interactions between plants and their microbial associates shape plant competition and coexistence, as well as long-term population and community trajectories. 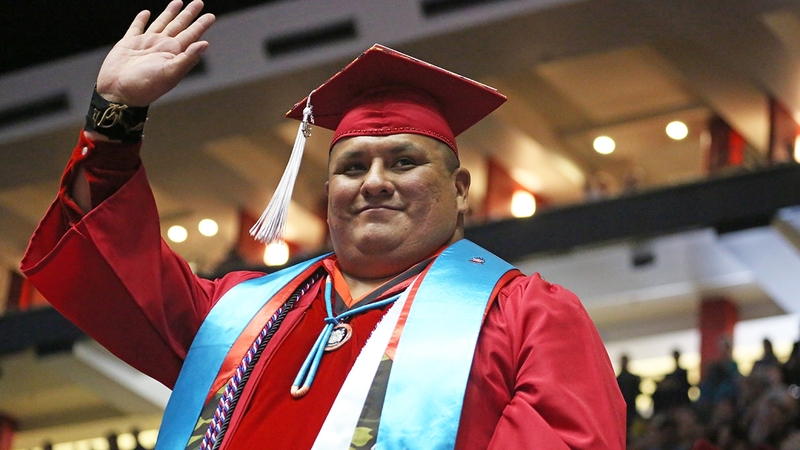 For more on The University of New Mexico’s 2018 Commencement and Installation, including inspiring graduate videos, visit Lobo Grad. * An official degree count is determined following commencement.